Life insurance and other assets are used to offset the financial needs that arise when someone dies. Life insurance products help give your loved ones the power to live their lives more fully when you're gone, and help protect all you've worked for throughout your life. It can help you pay for education, support a favorite cause, and ensure your family enjoys a certain lifestyle. An experience Life Insurance Advisor can help you achieve these and other important goals with a wide range of life insurance products. Your insurance needs are unique. The solutions you choose should feel like a good fit, not a compromise. 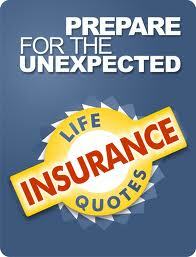 Every situation is different when it involves the purchasing of a life insurance product. With the help of a licensed life insurance advisor, you can make the right decision for you and your family. There are many complexities when it comes to the different types of policies, that is why we pride ourselves in become experts on the life insurance buying process. Our desire is to make it a smooth process, but more importantly, an educating process. That leaves you feeling comfortable about the decision you made. Life insurance is a contract between an insured (insurance policy holder) and an insurer , where the insurer promises to pay a designated beneficiary a sum of money (the "benefits") upon the death of the insured person. Almost Everyone! Every stage of life brings a different need to the table when it comes to life insurance. Your financial needs at 18 are much different then that of a 45 year old with a family to support. In addition to keeping your family financially secure after you’re gone, life insurance can provide more than peace of mind while you’re living. In a typical situation, your highest need for life insurance ranges from early 20s until late 50s. At least a 30 year period. Once your children are grown, the house is paid for, your liabilities are minimal, your life insurance needs are reduced and you could go with a smaller burial insurance policy or a permanent policy. Policy Owner: Premiums paid by the policy owner are normally not deductible for federal and state income tax purposes, and proceeds paid by the insurer upon the death of the insured are not included in gross income for federal and state income tax purposes. Insured: The Insured of the policy is the Insurance policy holder. The premium is determined by the mortality risk of the insured based on age, gender, and health status. Term life policies are the most basic of life insurance. You lock in a specific amount of life insurance at a set premium for a set period of time. There is no cash value just basic insurance. A term life policy would typically look like: 30 year term for $500,000 of coverage at $75 per month. These policies are the least expensive for people who are in good health. Learn more on our page for term life insurance. A whole life policy is both a life insurance policy and an investment account. Part of each of your premiums is put into a high interest savings account and it grows with interest over time. These policies are more expensive than the term life, but can be a good way to save for the future. Learn more in our explanation of whole life insurance. Universal life policies are very similar to whole life but you have a ton of flexibility. This includes changing the amount of your coverage as well as flexible payment options for your premiums. The premise is still the same as the whole life variety with a cash value that accrues over time, but what you can do with that cash is much more extensive. Learn more about these policies in our explanation of universal life insurance. Seniors have special needs when it comes to life insurance. Because of the greatly differing ages between seniors and the different stages of life, there is not one size fits all policy for anyone over the age of 50. You can get quotes on this page or learn more about on our page for life insurance for seniors. Burial insurance is a specialized policy that is very useful for the right individual. These policies cover your funeral and end of life expenses, but do not provide the larger face values that some term policies can. Learn everything you need to know and get quotes from our section on burial insurance. Contrary to popular belief people who end up classified as high risk by some insurance companies are not doomed to pay exorbitant life insurance premiums. We know the high risk market and which companies are going to treat your condition the best. Get quotes and information for high risk individuals. Buying life insurance online is now just like buying it from a LIVE agent. You need to answer some questions about your health and age. 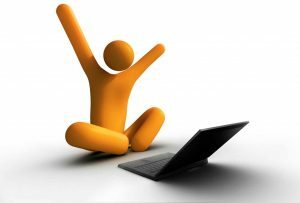 The forms can be long depending on the life company that issues the insurance policy so prepare to spend a fair amount of time (maybe 20 minutes on the phone) once you see your instant online quotes. When it comes to buying life insurance online, you will see many ads from companies claiming that they have the lowest rates for term life and whole life policies, but how can you know which is really the best deal for you and your family? Getting your own free personalized quotes delivered fast will let you examine the offers from several companies side by side. This will help you to find the lowest cost and cheapest method to buy whole life insurance or to buy term life insurance.